This was the 10th blog post I wrote for the Television Crossover Universe, and it was a tribute to the Westphalians, a group who have been tracking television crossovers for years under the assumption that a shared reality of television shows exists within the mind of Tommy Westphall. This was posted originally on February 7, 2011, less than a month into the creation of this blog, and was the 10th post, which means I was producing posts pretty quickly early on. Of course, that was before I was working on writing books and had other posts to constantly update. But it's still impressive considering at the time I was in the final semester of college, I was on an academic competitive team, I was a teaching assistant, an intern, and a ghost hunter. Update: Continuing on my quest to keep my blogs current. This one might not have much to update, but we'll see. In the final scene of the series ST. 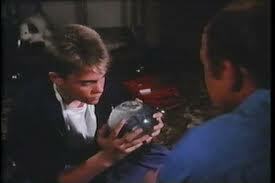 ELSEWHERE, it's revealed that the entire series was actually imagined by autistic child Tommy Westphall looking into a snow globe. It's been theorized then that the entire reality of the show was imagined by Tommy. Because of the nature of crossovers and shared realities, that would place the entire TV Crossover Universe inside the mind of Tommy, making him God. But first, there is a God in the TVCU. He even appeared on ST. ELSEWHERE. So is Tommy the creator of God? I say no. A few weeks ago I covered Freddy Krueger. In WES CRAVEN'S NEW NIGHTMARE, we learned that Freddy Krueger of the TVCU was the creation of Wes Craven of Earth-Prime. 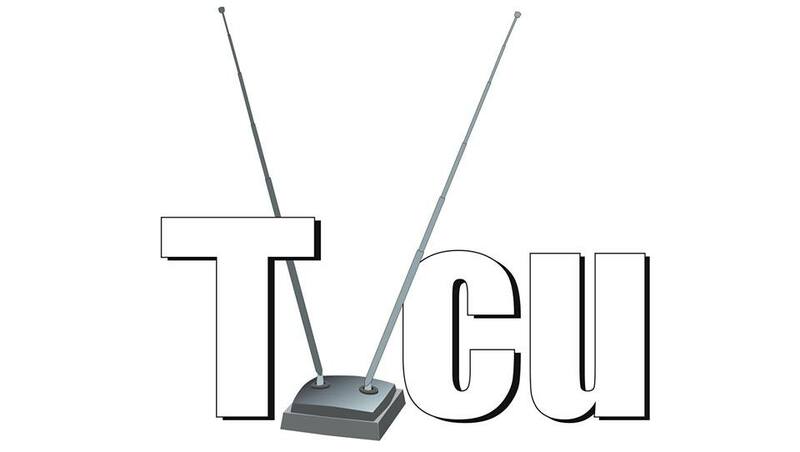 That would mean that Wes Craven created the TVCU. How can they both be the Gods of this reality. They aren't. Both live on Earth-Prime. As I've said in other blogs, everything that's fictional is real somewhere else in the multiverse. People who are "creative", as in writers and artists, are actually not creative at all. They are a special type of psychic, who view events and read the thoughts of people from other realities in the past, present, or future. However, they can't know they are psychic, since they never see these events come to pass. They don't see them come to pass, since the events aren't happening in their reality, but in another reality. And more than one person in more than one reality can see the same events. Wes Craven of our world also envisioned Fred Krueger, and he also envisioned the events of NEW NIGHTMARE. So Tommy Westphall of Earth-Prime had a psychic flash of the events of the series St. Elsewhere. 1968 to 1971--JULIA--From Toby O'Brien: I think the Dr. Chegley from 'St. Elsewhere' was actually shown and played by a different actor (Lloyd Nolan having died). I think we can consider them to be father and son, however. January 1983--ST. ELSEWHERE--"Rain"--Dr. Fiscus relays a story to Dr. Morrison involving an incident that happened once to some doctors he knows, Doctors Kildare and Casey. Dr. James Kildare is a fictional American medical doctor character, originally created in the 1930s by the author Frederick Schiller Faust under the pen name Max Brand. Shortly after the character's first appearance in a magazine story, Paramount Pictures used the story and character as the basis for the 1937 film Internes Can't Take Money. Metro-Goldwyn-Mayer (MGM) subsequently acquired the rights and featured Kildare as the primary character in a series of American theatrical films in the late 1930s and early 1940s, several of which were co-written by Faust (as Max Brand), who also continued to write magazine stories and novels about the character until the early 1940s. The Kildare character was later featured in an early 1950s radio series, a 1960s television series, a comic book and comic strip based on the 1960s TV show, and a short-lived second 1970s television series. 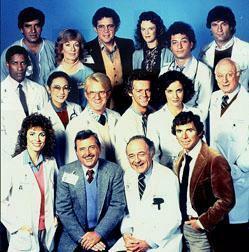 Ben Casey is an American medical drama series which ran on ABC from 1961 to 1966. Neurosurgeon Joseph Ransohoff was a medical consultant for the show and may have influenced the personality of the title character. May 1984--ST. ELSEWHERE--"Hello, Goodbye"--Warren Coolidge (formerly of THE WHITE SHADOW) becomes a regular character on ST. ELSEWHERE. 1989--TATTINGER'S/NICK AND HILLARY--A character whose last name is Axelrod bemoans the dath of his cousin Elliot from Boston. This would be Dr. Elliot Axelrod of St. Elegius Hospital. 1997 to 2003--OZ--The Weiget Medical Corporation, previously seen on ST. ELSEWHERE, appears on OZ. Additionally, a psycho nurse at the prison had previously worked at St. Elegius Hospital. March 1998--HOMICIDE: LIFE ON THE STREET--"Mercy"--Dr. Roxanne Turner from ST. ELSEWHERE appears. Dr. Erhlich is mentioned in another episode. 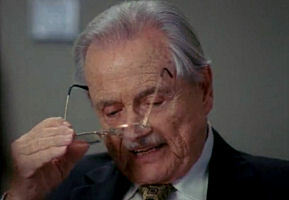 2000--HOMICIDE: THE MOVIE--Dr. Erhlick appears. 2001 to 2007--CROSSING JORDAN--One episode features a priest from St. Elegius Church. Both this series and ST. ELSEWHERE take place in Boston, so it's most likely that the church and the hospital are near each other and possible financially connected as some churches and hospitals are. December 2002--PROVIDENCE--"The Eleventh Hour"--Someone suggests to Dr. Sidney Hansen that she seek employment at St. Elegius Hospital. May 2012--GREY'S ANATOMY--"Let the Bad Times Roll"--Dr. Mark Craig is conducting a surgical exam. Late March 2014--THE SOUL MAN--"All the Way Live"--From Thomas Holbrook: Interesting. Just saw an episode of TvLand's The Soul Man that has a brief crossover with Hot In Cleveland via Betty White's character Elka. (It also had a billion other people who could have been playing characters from other shows but weren't.) With Betty White they clearly ID'd her as Elka. Martin Lawrence guest stars (not as Martin), looks over and goes, "Hey, is that Betty White!" Extra weird is this sort of joke was done before with Betty White. She appeared on St Elsewhere as a character unique to that show. Another character on St Elsewhere is delusional and thinks he is Mary Richards from The Mary Tyler Moore Show, looks at her and says, "Sue Anne Niven!" St. Elsewhere was a pretty cutting edge show. It had Denzel Washington for crying out loud. When it originally aired, I was too young to appreciate it. Besides which, it was on at 10PM and my bedtime was at 9PM. I do remember one specific episode that I got to watch that has remained in my head to this day. Dr. Wayne Fiscus meets God. God appears in the episode to look like Fiscus. They are both played by Howie Mandel. God says that he appears differently to different people based on what is easiest for the person to comprehend or deal with. Even as a little kid, I really appreciated that, and that's the whole basis for the different representations of God within the TVCU. And this appearance furthers my notion that Tommy Westphall is not God. 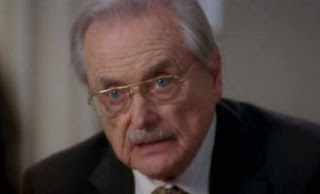 I think the Dr. Chegley from 'St. Elsewhere' was actually shown and played by a different actor (Lloyd Nolan having died). I think we can consider them to be father and son, however. 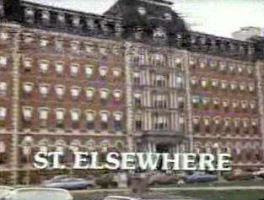 http://tommywestphall.wikia.com/wiki/St_Elsewhere is the source of that crossover entry, but I can't verify it with any other source. I could not pinpoint the specific episode.